CATHEDRAL: ST. MICHAEL AND ALL ANGELS IFE. Consequent upon the creation of Mbaise Diocese, the consecration and enthronement of the pioneer Bishop Rt. Revd. Cyril Chukwuka Anyanwu the former Mbaise Archdeaconry headquarters became the Diocesan headquarters. The Rt. Revd. 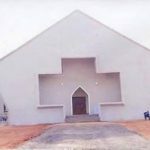 Dr. Cyril Chukwuka Anyanwu renamed St. Michael Church Ife as St. Michael and All Angels, Ife and the Cathedral of Mbaise Diocese. LOCATION: The location of the ecclesiastical headquarters of Mbaise Diocese is at Ife-Ezinihitte Mbaise Local Government Area, Imo State, Nigeria. On 22nd November, 1998, the Rt. Revd. Dr. Cyril Anyanwu inaugurated a Cathedral Board and charged the Board to source for fund for the building of a befitting Cathedral (to replace old St. Michael’s Church Ife, built in 1925) at the present site of old St. Michael’s Church Ife. Much could not be achieved before the sudden death of the pioneer Bishop – the Rt. 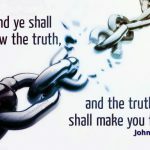 Revd Dr. Cyril Chukwuka Anyanwu. At the celebration of Mbaise Diocese at “10” on November 30th, 2002 at St. Michael and All Angels Cathedral, the successor to the pioneer Bishop, Rt. Revd. B.J.E. Ogu performed the turning of sod for the proposed new Cathedral Church building at Ife. FOUNDATION LAYING OF THE CATHEDRAL BUILDING: was performed by His Grace, Most Revd. 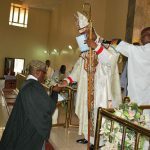 Dr. B. C. I. Okoro Archbishop of Owerri Ecclesiastical Province on Saturday 20th October, 2007. DEDICATION: of the Cathedral took place on Sunday 28th December, 2014 by the Primate of All Nigeria, Most Revd. Dr. Nicholas D. Okoh. CHAIRMAN OF CATHEDRAL BUILDING COMMITTEE: Pioneer Chancellor Sir Barr. Bon Chibunna Nwakanma SAN, OON of the blessed memory and the chairman of the Dedication Committee of the Cathedral – Sir Chime Aliliele.